"It's watchable again!" 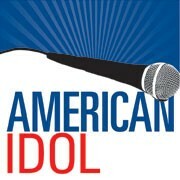 That's been the tone of the bulk of the reviews for the 13th season of "American Idol," which premiered this week. That's both true and an exaggeration. "Idol" is almost always watchable, even when it's bad. And yeah, last season was definitely not great (although not the worst - that dishonor still goes to Season 9). But even though I was dreading going into the "Idol" meat grinder one more time, I actually quite enjoyed Thursday night's episode. So my take is that Season 13 isn't just watchable. I found it downright entertaining, and I hope the show can sustain the really lovely tone it established this week. There are several reasons for the improvement. The most obvious is the new judging panel of Keith Urban (the only judge to survive the culling after Season 12), the returning Jennifer Lopez (previously on seasons 10 and 11), and new judge Harry Connick Jr. The three of them are, frankly, delightful. Warm, friendly, and yet able to dish out legitimately useful critiques to the aspiring singers. Even when Connick gives someone the business, there is a paternal, constructive tone to his criticisms. Urban seems much more comfortable in his role than he did at the start of last season. And Lopez, who is I think unfairly dismissed by a lot people, knows what it takes to be a top performer. I have always found her to be insightful even if she is essentially the "nice judge." So, anyway: great panel. Great vibe. And that extended to the footage the producers chose to show viewers. Even the obviously bad contestants were treated like a charming diversion instead of targets for cruelty, as used to be the case during the Simon years. On Thursday the unsuccessful candidates (that we saw) were almost universally treated with dignity. The segment with Ronald Reed, an extremely enthusiastic young man who had little in the tank vocally, was difficult to watch, but I appreciated that neither the judges nor the editors mocked his sincerity. The production values have been significantly goosed. The show seems to be borrowing from the much slicker "X Factor," except "Idol" is doing it better than "Factor" ever has. (Unsurprising, as that show has been a dud since it debuted.) The pacing is hugely improved. In the past some of the initial auditions have been interminable, but they worked through contestants in a rapid fashion Thursday night. *Spencer Lloyd - if this kid makes it to live voting he will be difficult to stop. His vocals aren't great. They're serviceable. But holy cow, is he just about the prettiest thing I have ever seen on this show. Teenage girls (and their moms) will eat him up. *Tristan Langley, the 15-year-old son of Nikki McKibben, who came in third in Season 1. That makes Tristan first second-generation "Idol" contestant. Man, is this show old. Anyway, Tristan is again VERY pretty; total girl bait. He has some odd pronunciation stuff happening, but he can sing and play guitar. And come on, how do you resist that story? *Rachel Rolleri, 17, is the high-school senior who sang "Stay." She's a great singer, cute as a button, and very personable. She is one to watch, if she can get her goofy screw-up faces under control. *Briana Oakley made an impression last season, and I was glad to see her back. She does need to pull back on the melisma a bit, but she has a wonderful voice. Other notable changes to format: contestants are now allowed to use instruments in the initial audition rounds, which is so goddamned obvious that I question why it took this long to happen. And The Chamber - the tiny holding pen they put the contestants in before seeing the judges - is so unbelievably stupid. Come on, show. You are doing so well. Let's not fight like this.